If you own a Wii and are a fan of first person-shooters, your options have been somewhat limited of late. You have Goldeneye and a handful of others, but that is about it. The genre is the proverbial red-headed stepchild of the Wii, and to stand out in the field, developers know that they need to come up with something special to make a mark and convince gamers to give them a try. Sega and developer High Voltage think they have done just that with Conduit 2. The game is a sequel—that is probably fairly obvious because of the “2” and all…it’s not like the movie Leonard Part 6 or anything…Anyway, while it is a sequel, and the story picks up right where the last game left off, Conduit 2 appears to be head and shoulders above the original. Everything has been improved, from the graphics to the flow of the game, and the multiplayer shines. Conduit 2 pushes the Wii as hard as any game I have seen, and while the campaign should turn heads, it is the multiplayer that could turn this game into something special. 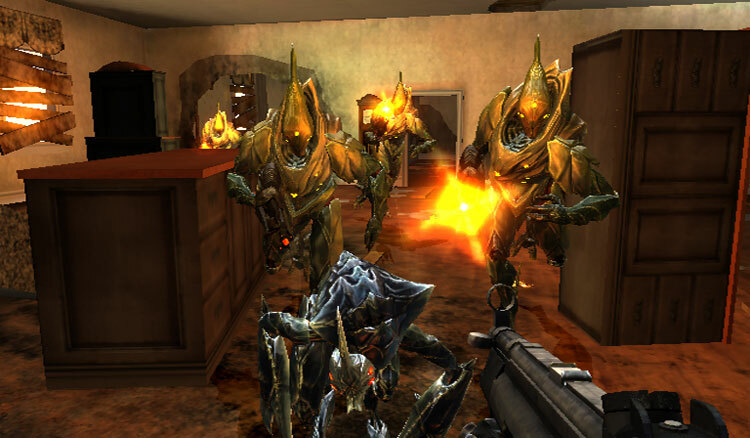 The original game was criticized for lacksidazical security that allowed hackers to run rampant throughout the game. High Voltage has promised a much more secure online experience, which should alleviate those issues. As for the multiplayer itself, it will feature both online and offline play. The traditional multiplayer gametypes will return, as will the popular bounty hunter mode. A new co-op game called “Invasion Mode” will allow you and your friends to fight off wave after wave of enemy, similar to the Horde Mode in Gears of War 2, and the Firefight mode from Halo. Conduit 2 will also allow voice chat. The customization options for your online avatar are nearly overwhelming. Numerous color options are available, as are minor details that should allow each player to find a combination unique to them. Beyond the aesthetics though, players will be able to upgrade their characters with over 30 suit upgrades. Over 20 weapons can be unlocked as well. 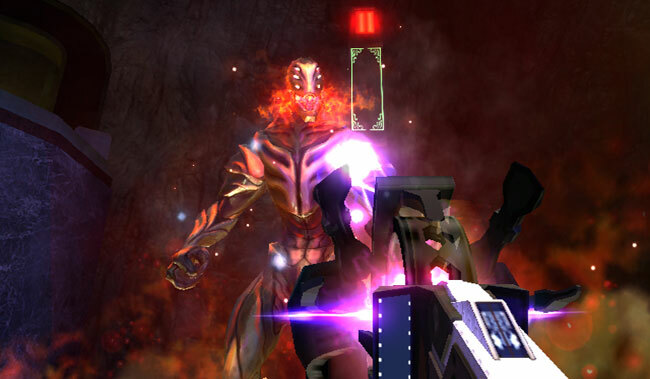 As for the gameplay, Conduit 2 moved well, and the maps shown were colorful and offered several types of combat. It is a bit too early to judge, but after seeing Conduit 2 at GDC, the Wii may have found its new online breadwinner. As for the campaign, the story picks up immediately where the original ended. You once again step into the boots of Ford, as the Drudge continue to mow down the Earth. The most obvious difference in this game from the original is that Ford, who was stoic to a fault in the previous game, has a much more flushed out personality this time round. The plot will take you around the world, through ruined cities and ancient locations, all of which looked impressive on the Wii. Check out new screenshots and the trailer below for a sneak peak at the game, and look for Conduit 2 for the Wii on April 19.